This piece by Gedi Sibony can be taken as a metaphor of his work in general. By displaying a framed image that is turned back to front, he thwarts our access to the visual element that is usually central to the piece, in order to better focus our attention on the frame and hence on what is generally outside the work of art. 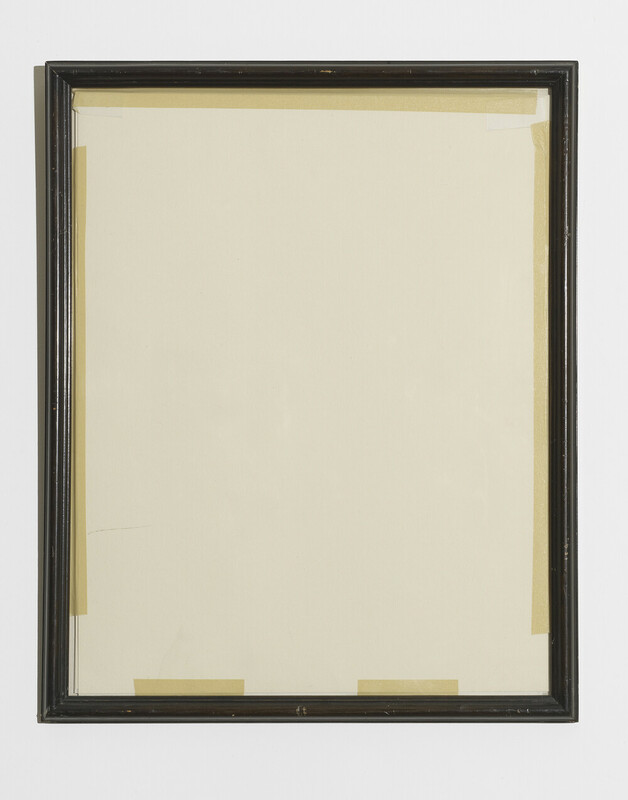 Since the yellowed paper offers us no information, our eye indeed shifts from the center to the periphery and the nondescript frame, which shows no special qualities either. It is a way of emphasizing the importance that the context of an exhibition assumes for the artist, who frames his own works.